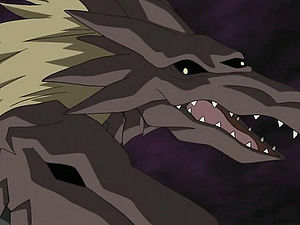 A Digimon that possesses power over Darkness which bears the might of one of the legendary Ten Warriors. It has the appearance of a monstrous, colossal bird, and due to its baleful appearance and nature it is called the "Corpse Swallower". 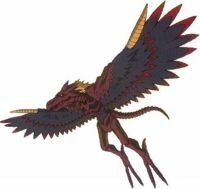 It transforms from Duskmon into fine particles, then comes flying out of a sky shrouded by the massive black fog they became. The intensely proud Duskmon hates transforming into the ugly, irrational Velgrmon, so it doesn't show its Velgrmon appearance unless under extreme circumstances. In normal battles, its main tools of combat are its claws which have a tendency to blind the opponent, and its fangs which can crunch even metal. 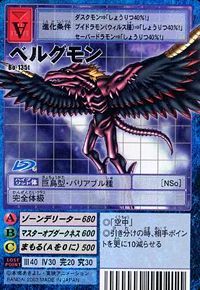 Its Special Moves are flapping its wings with all its power, blowing away the opponent and all of the space around them to another dimension (Zone Deleter), and changing the opponent's nature to darkness and manipulating them to its heart's content (Master of Darkness). 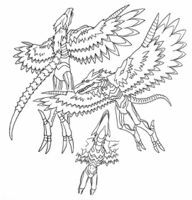 Title: 「闇の破損獣闘士」 — "Corrupted Beast Warrior of Darkness"
From Hræsvelgr 「フレズベルグ」, a giant eagle who guarded the underworld in Norse mythology, along with Garmr (the namesake of Garmmon). Anime/Manga Digimon Frontier: "Soaring! Warrior of Darkness Velgrmon"
Zone Deleter  ゾーンデリーター Zōn Derītā Dark Obliteration With the extreme of their wings, draws a circle on the ground, if the foe is within the circle, the circle will explode with a great power. Master of Darkness  マスターオブダークネス Masutā obu Dākunesu Dark Vortex Of its eyes release a red-violet laser. Velgrmon is the form that Duskmon takes when using the Corrupted Beast Spirit of Darkness. Velgrmon is only obtainable as a collectible card. 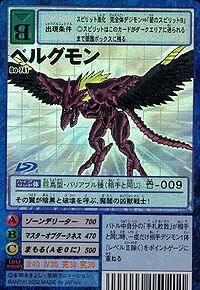 Its card is part of the Five Evil Warriors Beast (悪の五闘士ビースト Aku no Gotoushi Bīsuto) set. 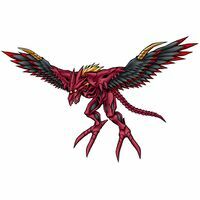 Velgrmon is available as a Digimon Medal. The wings of this evil beast warrior of demons summon darkness and destruction! This evil bird from the world of darkness raises windstorms of slaughter and swallows the dead! ↑ Digimon Frontier: "The Past is Revealed! Duskmon's Secret"
↑ Digimon Frontier: "Soaring! 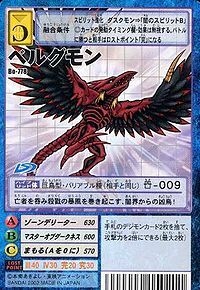 Warrior of Darkness Velgmon"
This page was last modified on 22 March 2019, at 21:11.